TeachMeet Midlands: What was it all about? 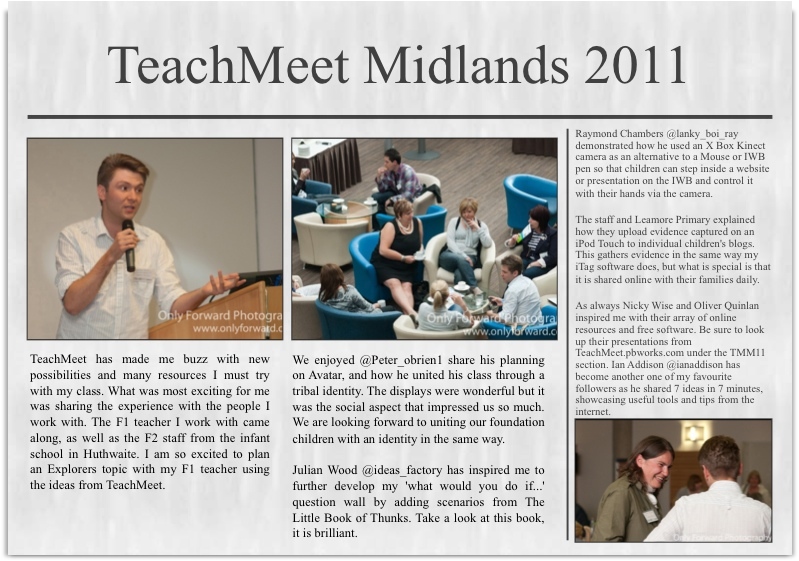 TeachMeet Midlands was a huge success. This time our TeachMeet was part of National TeachMeet Day in the UK, which helped raise the profile of the event in Nottingham and across the Midlands. With sponsorship from the Nottingham Learning Trust (@NottmLT) and The National College (@the_college), as well as the companies behind TeachMeet UK, Pete (@PeteBevington) and I (@MarcWithersey) were able to promote this event through many channels beyond Twitter and we introduced so many more teachers to the TeachMeet format of CPD. 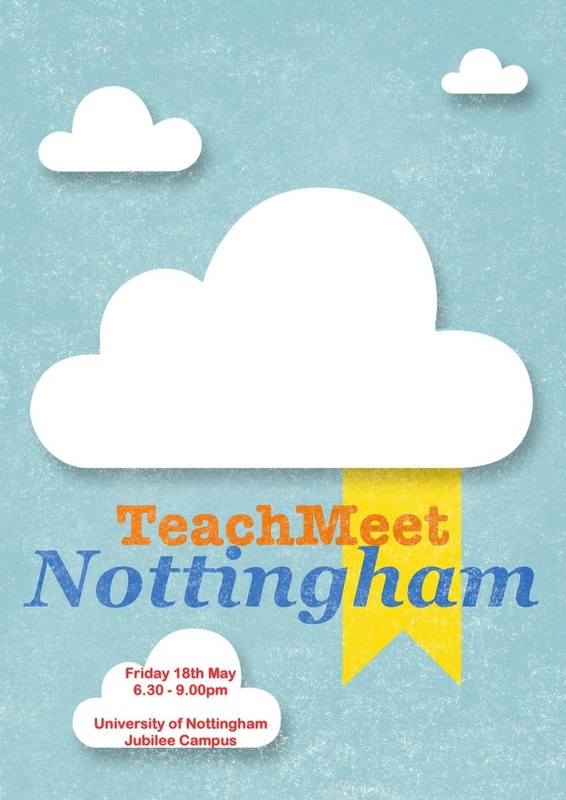 Following the success of Tom Barrett’s TeachMeets for the Midlands and Nottingham, I am pleased to be hosting a follow up TeachMeet event for Nottingham and the East Midlands. Tom Barrett has been working hard to secure a new home for TeachMeet Nottingham, and has found a venue at The University of Nottingham’s Jubilee Campus (Learning Sciences Research Institute). Tom’s vision for TeachMeet Nottingham is a smaller scale, more manageable event which doesn’t rely on sponsorship or equipment hire. This partnership with LSRI is perfect, and the venue is resourced with state of the art facilities, such as the capability to stream online coverage of the event. Pete and I are very excited about organising this event and we look forward to welcoming as many teachers and students as possible on the night. If you are a TeachMeet regular, we are challenging you to bring a TeachMeet Newbie with you. This will help to promote TeachMeet as an alternative to Continual Professional Development. 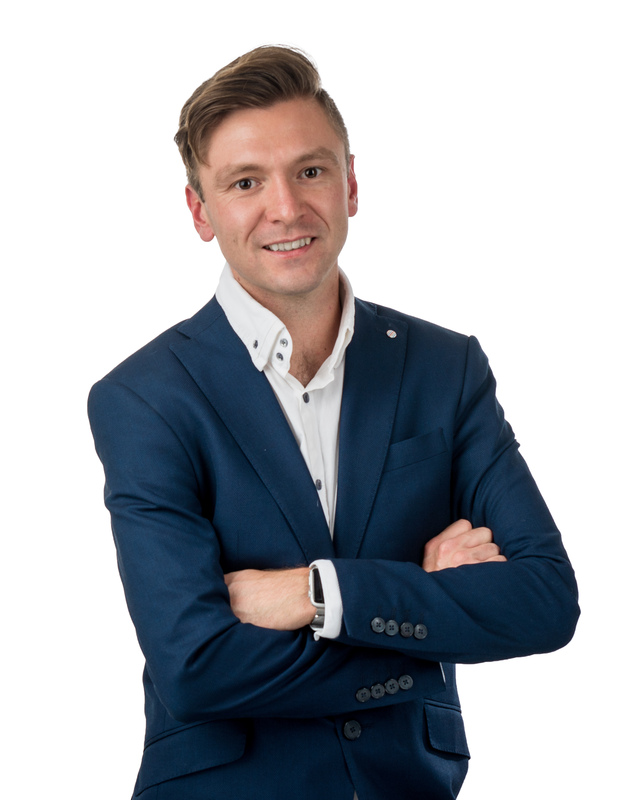 Those of you will be attending for the first time will be overwhelmed by the variety of resources, ideas and strategies shared by real teachers in classrooms around the Midlands. We advise you to bring your smart phone, iPad, tablet, NetBook or laptop along in order to record all of the ideas shared. TeachMeets are rapid and topics move fast with the 7 minute and 2 minute presentations from attendees, so be ready to take lots of notes. 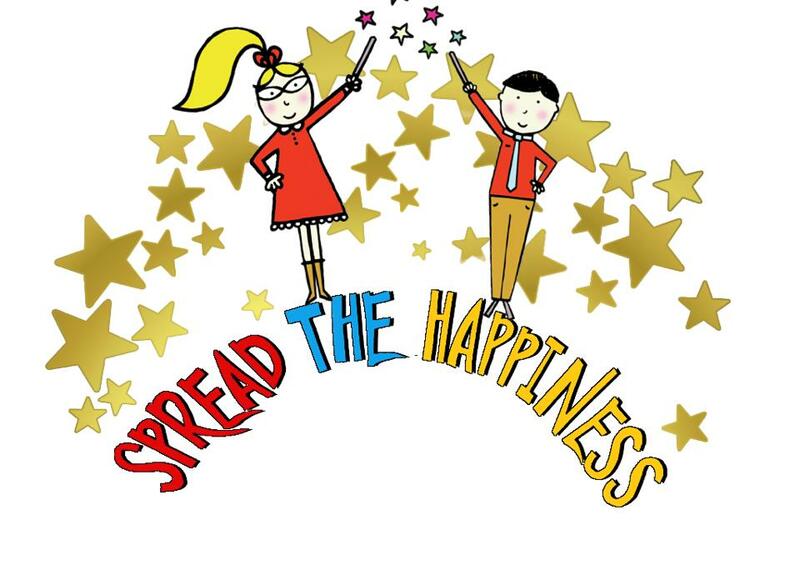 If you are on Twitter, you can follow our TeachMeet hashtag before, during and after the event (#tmnott). As the event is streamed live online, you can interact with viewers from around the world and also those in the room with you! Lots of interesting discussion occurs during and after the event so will want to be involved in this, it’s when the best learning happens! Both Pete and myself understand that in our profession there is a blurred line between work/life balance, and we are aware that this event takes place on a Friday night until 9pm. Please, don’t let this put you off! TeachMeets are now are crucial aspect of our continual professional development and with challenges faced with budgets and workload in school, it is essential that we build our own professional learning networks so that best practises can be shared outside of our Local Authorities and schools. Please visit our TeachMeet Nottingham wiki to sign up for tickets and we will see you on the night! I haven’t felt the need to define what Games Based Learning is on my blog as I’ve been too busy trying out different strategies and resources. 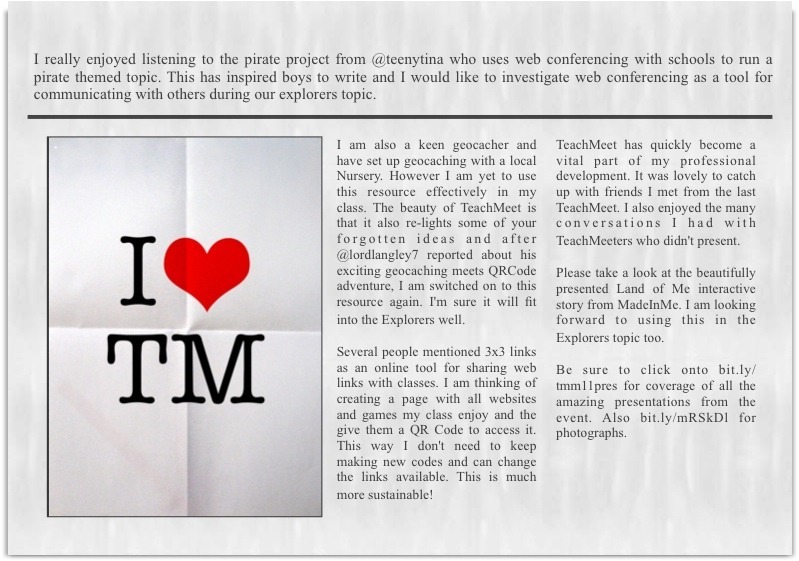 However, at TeachMeet Play in February half term, I presented for 7 minutes (yeah right, more like 30 minutes!) on these strategies and what Games Based Learning meant for me. Alongside me at the event, Ray Chambers (@lanky_boi_ray) and Bill Lord (@Joga5) also presented and discussed their experiences of gaming in the classroom. We all work with different age groups so our reflections and advice vary which has provoked me to write this blog post.